We undertake house clearance in all areas of Rochdale: Balderstone Kirkholt Bamford Castleton Middleton Healey Hopwood Hall Kingsway Littleborough Lakeside Mikstone Deeplish Milnrow. The person who deals with (administers) the estate is called a personal representative. If appointed by a valid Will or a codicil to a Will, they are called an executor (male) or an executrix (female). A codicil is the name given to a supplement to a Will, when the person, who made the Will, decides to add, explain, alter or subtract anything. It must be executed with the same formality as for the Will itself. If the deceased person did not leave a valid Will or if the Will does not name an executor then the personal representative is called an administrator (male) or an administratrix (female). If the estate is of any size it is advisable at an early stage to open a separate bank or building society account, usually known as an ‘executorship account’, into which money paid into the estate can be credited. This will help with the accounts and prevent the estate money becoming confused with the personal funds of the executor/ administrator. After all debts have been paid the estate is then distributed in accordance with the deceased’s wishes, as set out in the Will. If the person has not made a Will the assets are distributed in accordance with the rules of intestacy. House Clearance Rochdale would like to remind you that to administer an estate it is necessary to follow certain legal procedures. 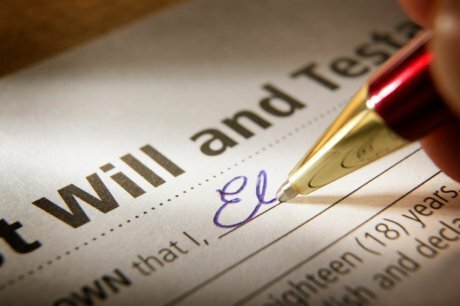 If the Will does not appoint a firm of solicitors as the executors or name them in the Will to deal with the estate, the personal representative is free to attend to the formalities but should be quite clear about what is involved. If they have any queries, legal advice should be obtained. The personal representative should consider using a solicitor if the estate is large; if a business or agricultural property is involved; if the deceased was a partner in a firm; where there are family trusts or large gifts to children under 18; or where there is a likelihood that a claim may be made under the Inheritance (Provision for Family and Dependants) Act by someone who believes that they have been unfairly treated by the Will or by the rules of intestacy. A badly drafted home-made Will may cause problems and professional help may be needed. If professional help is required, the solicitor’s fee has to be ‘fair and reasonable’ having regard to all the circumstances of the case, and will probably be based mainly on the time spent. It may include an element relating to the value of the estate. Banks, building societies and insurance companies may soon also be able to apply directly for grants of representation for a fee. The fees of any professional or corporate advisers will be paid by the estate, not by the personal representative, but it is advisable to obtain an estimate prior to making a decision. Banks may be more expensive than solicitors.